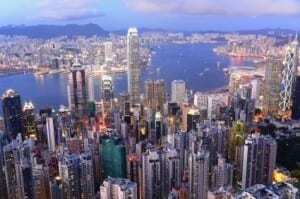 TESOL Certification Package for Hong Kong - Save $100! The Best TESOL Certification for Hong Kong! If you want to teach English in Hong Kong, you need an advanced TESOL certification of at least 120 hours. Since most teachers in Hong Kong are hired to teach young learners, we created a TESOL certification package that includes a 20-hour specialist on teaching young learners. Save $100 on the 20-hour Teaching English to Young Learners (TEYL) specialist when you register in the Advanced 120-hour TESOL certificate course offered by OnTESOL! The advanced 120-hour TESOL certificate program will give you all the training that you need to teach English in Hong Kong. In this TESOL program you will learn to create original lesson plans to supplement the ESL textbook with authentic resources. You will also learn about the most effective classroom management techniques and testing methods. The program is fully online and comes with task-integrated videos so you can watch a real ESL class and learn how a lesson plan translates into the classroom. Add a 20-hour Teaching English to Young Learners Specialist Course! For only $100 extra you can add a 20-hour specialist course on teaching young learners. This course is perfect for those planning to teach students from ages 4 to 18 because you will learn about first language acquisition mechanisms, how to teach grammar and pronunciation to young learners, and how to create lesson plans using the Task-based approach. If you want to teach in the public school system, the NETs scheme requires teachers to have at least 2 years of teaching experience and a Practicum module. Those who complete the 20-hour Practicum after the online TESOL certification course will receive a 140-hour Advanced TESOL certificate with Practicum. This program is recognized by TESL Canada and is academically equivalent to a 4-week CELTA certification course.